Distracted driving in SA: Are you guilty? Cape Town - While a great deal of emphasis is placed on the dangers of drunken driving in South Africa, and rightly so, texting and driving, as well as other forms of distractions on the road, can be every bit as hazardous on our roads. 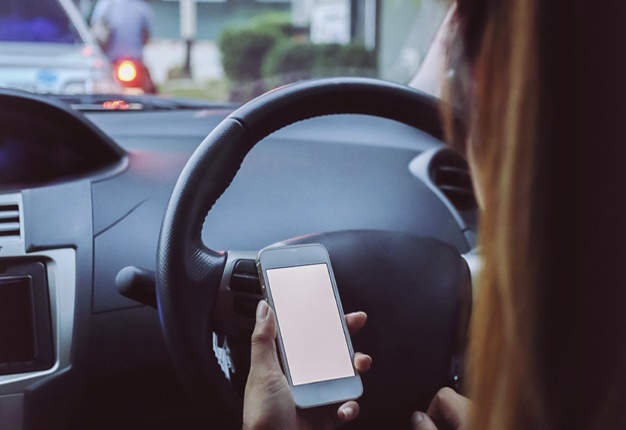 Netcare general manager, Mande Toubkin, adds: “The impairments associated with drunken driving and texting while driving have much in common, and both are illegal in South Africa as well as exceedingly perilous activities. “It is not possible at present to establish how many motor vehicle crashes in South Africa may be related to distracted driving, which may include using a mobile phone or other technologies while on the road. 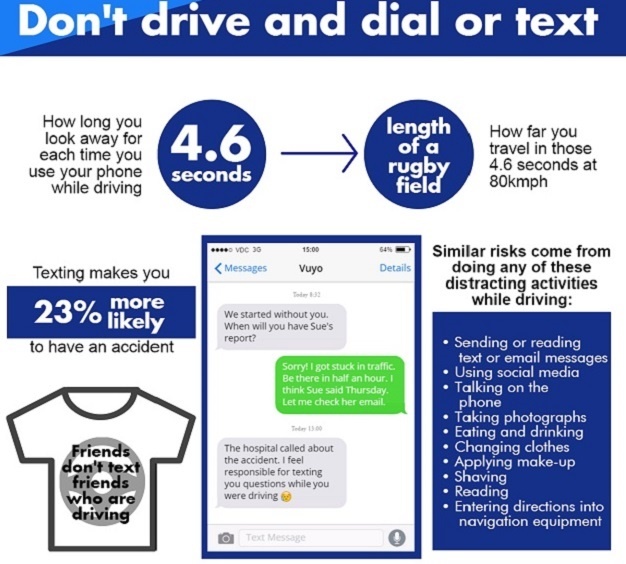 According to the US National Highway Traffic Safety Administration, texting while driving distracts the driver from the road for an average of 4.6 seconds and increases the chances of an accident by a massive 23%. In a survey by the Automobile Association (AA), during a typical traffic peak morning, 7.2% of 2500 drivers were using their mobile phones while driving. Toubkin believes that with increased usage of mobile devices and electronic communications, drivers are more prone to undertaking these potentially unsafe activities than ever before. Toubkin says: “There is a growing body of evidence that shows that the distraction caused by mobile phones or other technologies can impair driver performance and competence in a number of ways, including delayed reaction times, and an impaired ability to keep in the correct road lane and maintain safe following distances. Netcare trauma programme manager, Rene Grobler, says it is a misconception that using a hands-free mobile phone kit comes without risk: "Drivers talking on their mobile phones, either hand-held or hands-free, are all at an increased risk of having an accident because they are trying to dial or take calls, or may simply be cognitively distracted by conversation. "As modern neuroscience is showing, the human brain is simply not able to efficiently deal with too many activities simultaneously. Safety is far more important than that call you feel you may need to take, or the email or message you want to check." Grobler continues: "Rather turn off your phone and put it away in your boot or glove-compartment whenever you drive, so that your attention stays on the road. It is critical to focus fully on the road. If you absolutely have to do something that is going to distract you, rather pull over to a safe place. "As motor vehicle drivers with a responsibility to each other, let us all make a contract with ourselves today to stop engaging in any activities which place our and others’ lives at risk."